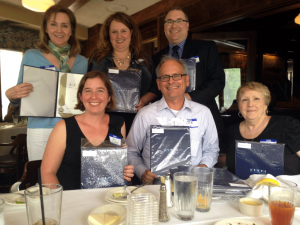 The Kansas City chapter hosted the Central Region Azbee Awards presentation on June 18. Congratulations to all the winners! We look forward to seeing you in Chicago July 25 for the national awards, which take place during the ASBPE National Conference. Download a PDF list of the region’s winners now. At the banquet, we got some great insights on what makes for good visual storytelling from Sarah Redohl, managing editor of the Columbia Business Times. To read some of Redohl’s tips from the event — and see more photos of the Central Region Azbee Award winners — take a look at the slide show below.